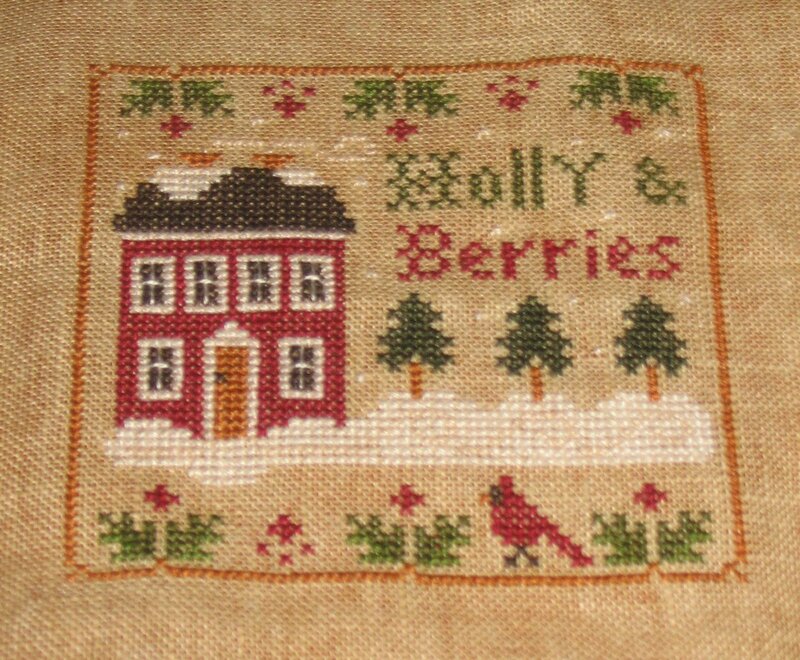 My first celebration today is because I finished Holly and Berries. 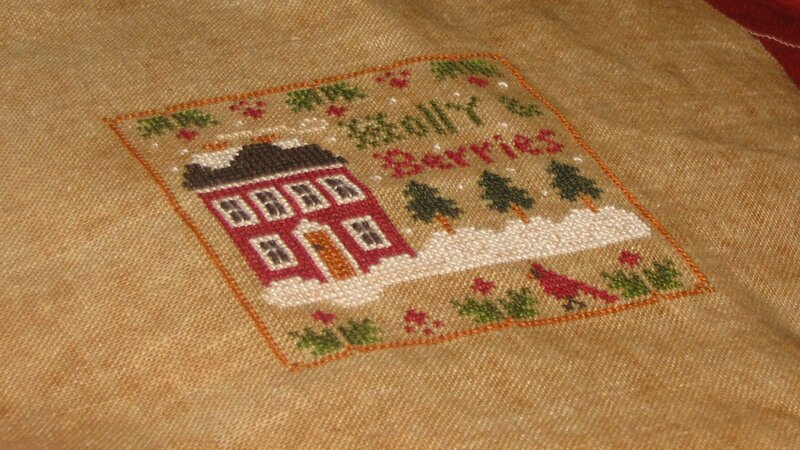 I had several comments about the fabric that I used for this one…it is 40 ct. Abecedarian Blend by R&R. I think that this is BY FAR my favorite fabric color and count combination…I love it! It was stitched using the recommended DMC fibers.